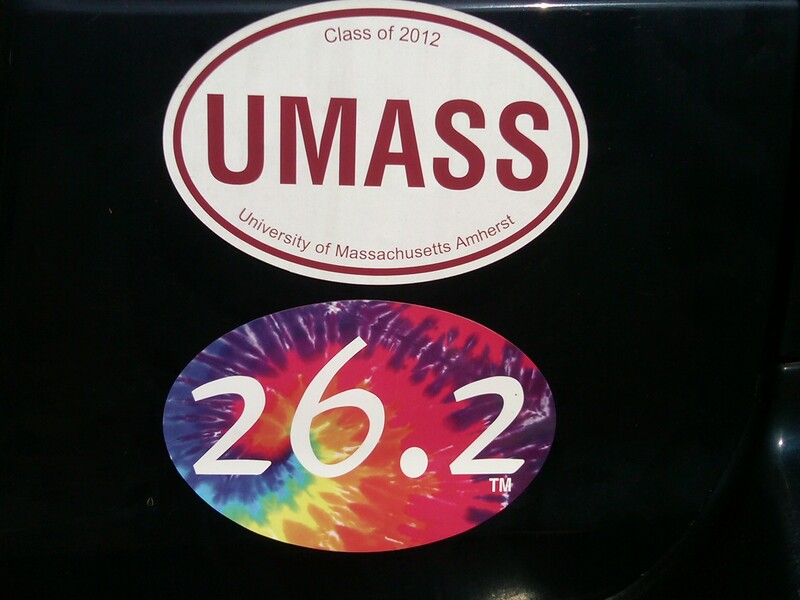 I had given my parents warning pretty much the day I decided to run the marathon last year that I wanted a 26.2 car magnet. It was me being nice and telling them something I actually wanted to get as a present instead of being indecisive and making them guess and therefore giving me things like peanut butter and play-doh and chocolate, which are obviously awesome and I will accept those as gifts any day of the week but for once I wanted something specific. Well, my 21st birthday, christmas, easter (perfect easter basket filler! ), AND my college graduation came and went, and apparently my incessant nagging was not adequate. So I found myself this lovely magnet at the Varsity Sports inside of Elmwood Fitness on Friday and snatched it up! Why was I at Elmwood Fitness? I thought you’d never ask! On Friday, we had a field trip to visit several rotation sites: River Oaks Psych Hospital, Elmwood Fitness, and Reinhardt Foods. Elmwood is the only place where everyone has rotations, and the other two are possible sites for specialty rotations. River Oaks was first, and it was very interesting because I had never thought about all the different issues a dietitian may come across when trying to feed the patients there. Many psychiatric conditions do not directly affect the biological processes of eating, but often there will be issues with going to the cafeteria, loud noises, lots of people, or even things like psychosis that has the person believing there are bugs in the food. Of course, there is a section of the hospital for eating disorder patients, which was extremely interesting to hear about. The process they use to make these people well are really intense and I enjoyed learning about them. We ended up with an hour until our next meeting, and there happened to be a Subway nearby, so I got a pumpkin spice latte and alerted the staff that there was an unnecessary apostrophe on their chalkboard. There is a picture but it’s on Alysse’s phone, so perhaps you will see it on her blog. I got the picture and I am going to add it but I am also going to leave that sentence as a reminder to Alysse that until I am able to take my own half-decent pictures, she is required to send me one of everything that we do together. That’s what friends are for! FUN FACT: as a second grader, unnecessary apostrophes were a HUGE pet peeve of mine. And when people mixed up your and you’re and other such grammatical errors. Elmwood was our second stop, and as soon as I walked in the door my jaw dropped. As Molly Kimball said “Yeah, it’s like you’re walking back into the armpit of the shopping center then all of a sudden there’s this huge gym!” She’s right. In between two stores in a regular looking strip mall, there is a walkway that you follow, and right through the door there is a Varsity Sports, a few pools and a hot tub, several racquetball courts, weight areas, a cafe area, cardio equipment, staircases going every which way, all sorts of group fitness rooms, and there is even more that you have to wind around halls or go outside to see (including an outdoor pool with a bar next to it). Our talk took place in a small auditorium outfitted with a kitchen that can be used for cooking demonstrations, because it used to be the site of the Oschner cardiac rehab clinic. Molly Kimball, a celebrity RD around these parts, told us all about the services offered at Elmwood and projects that we might be involved with during our rotations there. There is so much going on! When they’re not doing individual consultations, the dietitians at Elmwood offer a free service called Eat Fit NOLA to area restaurants where chefs can submit their recipes and get them “approved” by the dietitians as long as they follow some standard guidelines about sodium, saturated fat, whole grains, and added sugars (there may be others that I’m forgetting). The dietitians will work with the chefs to tweak the recipes while maintaining the integrity of the dish so that they meet the healthier guidelines. As interns, we will help correspond with some of these chefs and do recipe analysis. Molly also does a weekly newspaper column and TV spot that we will help out with. After telling us about all of the different happenings at Elmwood, Molly gave us her background which is always the most important part for me: I love learning how people ended up where they are. In between Elmwood and Reinhardt, we had some time for lunch. I had brought a lunch, but we stopped at La Madeleine, which reminded me a lot of Panera. The girls who needed to buy food were able to buy food, and those of us who had ours were fine sitting down with our lunches and eating. I will say, traveling in a pack of 20 twentysomething females is really weird – we get a lot of looks and we don’t fit comfortably anywhere. There may have been some inappropriate comments from businessmen picking up their lunches: “Oh you’re in college?” well no..not really “We thought you were in high school and felt guilty lookin’!” Note to all men out there: this is not an effective way of gaining female attention. Alysse picked up a Gambit, and we saw an ad for the Abita Fall Fest Pub Crawl in the lower garden district for that night, how convenient! Noted. Our last stop at Reinhardt foods was definitely different: we were in a warehouse. Not exactly my scene. We were instructed to head up the bright yellow metal staircase, take a left, and the conference room should be on our right. It was, and the timeless combo of white walls and fluorescent lights was a bit unnerving. We got an intro to the company, and learned that in the southeastern region, all of the health care deals are managed by RDs. This makes a lot of sense, because RDs understand exactly how the food is put to use in the facility, and they even make the menus for the places. It’s also funny because of the juxtaposition of our speaker, a tan, perfectly coiffed blonde in a fashionable yellow dress and heels with the warehouse. A giant tin box full of food and gruff men. Although I’ve always thought sales could be a lot of fun, I just don’t see myself working for a food distribution company and holding meetings in a warehouse. 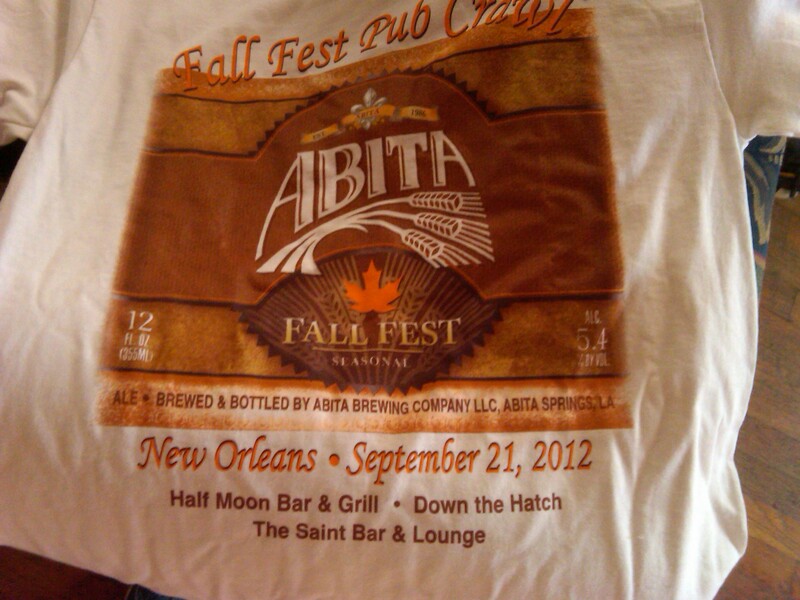 RECALL: Abita pub crawl. Once we got back home, I convinced Andrea that she should go (there were free T shirts and my favorite thing in the whole wide world: NEW FRIENDS!!). It wasn’t very hard because Andrea is a fun-lover and will pretty much do anything that could possibly end at the Goldmine Saloon. Have I mentioned that she recently started a blog too? Dietetics is her interest but writing is her passion so I’m expecting to see a lot of awesome stuff from that blog. After registering for the bar crawl, I decided to skip the gym in the interest of time, and dusted off some Buns Guns and Guts circuits instead, one 8-minute and two 12-minute circuits made for a short and sweet workout that had me as repulsively sweaty as I could possibly get. It was awesome. 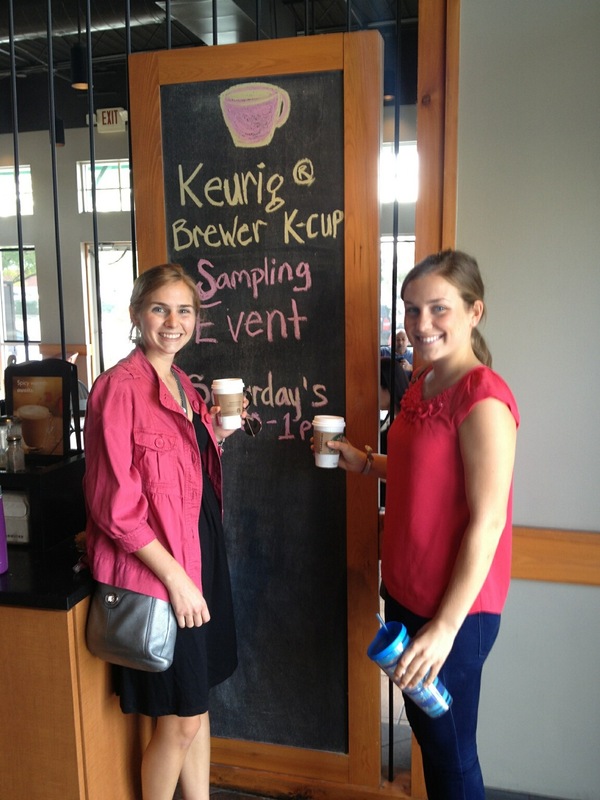 This entry was posted in Dietetic Internship, Living Well and tagged Abita, dietetic internship, Elmwood Fitness, marathon bumper sticker, Molly Kimball, Reinhardt foods. Bookmark the permalink. 2 Responses to Field trips!